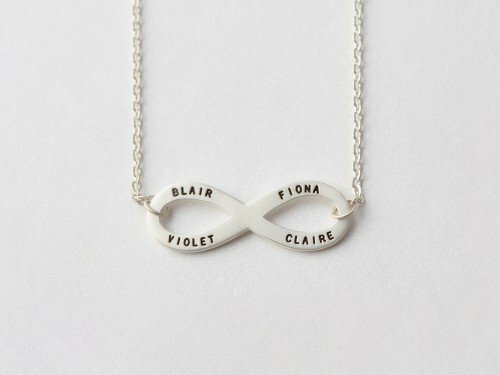 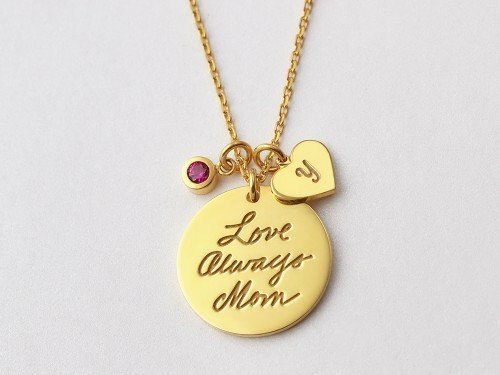 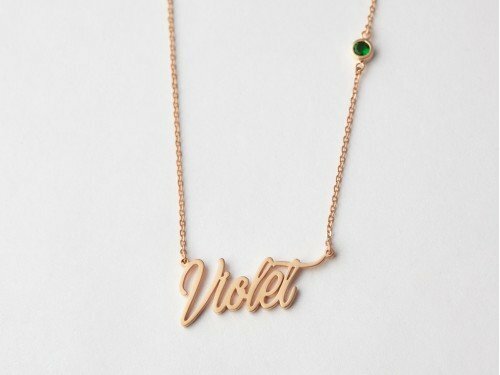 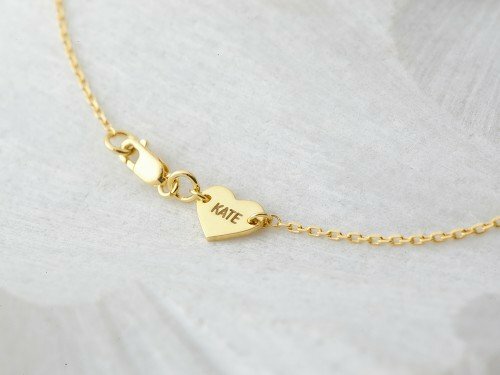 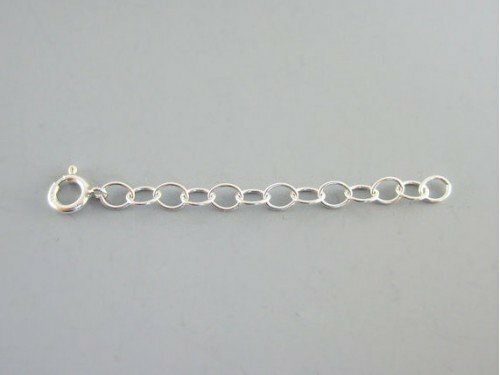 Customizable with any name, this elegant personalized name necklace is accented with a sweet heart charm along the skinny. 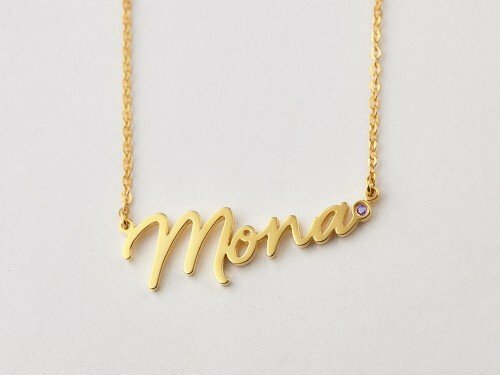 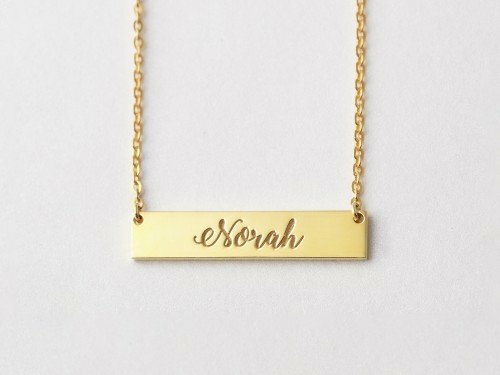 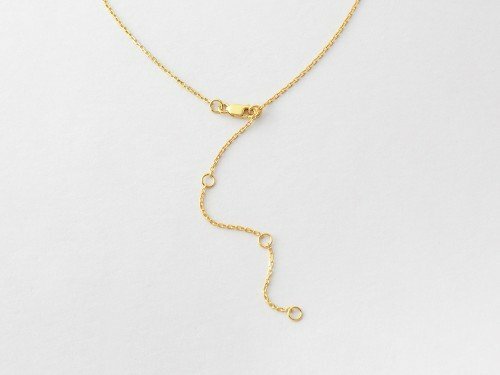 A necklace with name is about the most classic way to add character to any outfit. 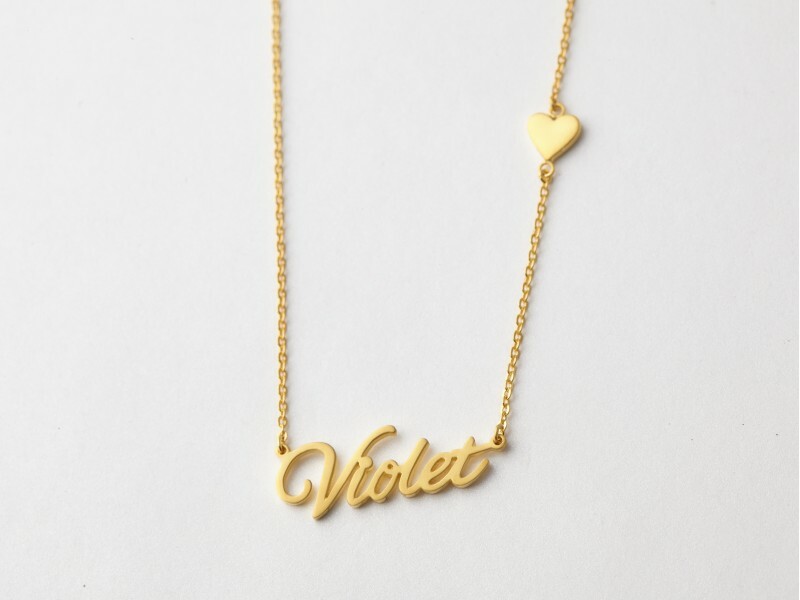 Choose between classic silver or 18K yellow or rose gold plated silver.